There are two comments bound to make any credible herbalist cringe. One is "It can't hurt me, it's all natural," and the other is "herbs don't have any side effects or interactions." Both are wrong. They can hurt you and they do have side effects and interactions. Dangerous Herbs: Two good examples in this category are Ephedra and Blue Cohosh. Ephedra has often been used in weight loss products. It was once banned but seems to now be in some sort of grey area. The problem is that it could kill you. The substance in it is chemically similar to epinephrine, and it could cause a heart attack, amongst other things. Blue cohosh is sometimes recommended to speed childbirth. The good news is that it can do just that. The bad news is that both mother and child could die before the baby is even born. 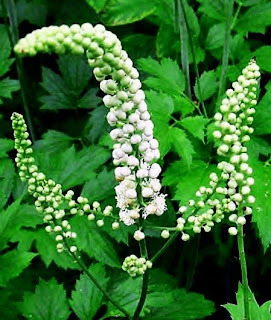 Infants have been born having heart attacks because their mother took blue cohosh. Cautionary Herbs: Some herbs may be effective, but the number of side effects, interactions or preparation methods makes herbalists nervous unless properly prepared. Cherry bark is great for stopping a cough, but it isn't something for those who don't know how to prepare it to work with. The principle that helps stop the cough is cyanide, and too much of that will kill you. Licorice is another good example. The problem here are the side effects and interactions. The root is high in sugar, so it could cause problems in diabetics. It raises blood pressure, so it could cause problems for those with high blood pressure or heart disease. In fact, it can cause heart rhythm problems in healthy people. GRAS: This acronym stands for "generally recognized as safe." While these herbs do have side effects and interactions, most people can take them safely. Chamomile, garlic, lemon balm and so forth are all on this list. There are three ways herbs can have a major effect on your body. Knowing the herb and what these terms mean may help you make the right decision. Interaction: This problem happens when two things are combined that react to each other. If you've ever done the "volcano" experiment, you've seen one outside your body. If you mix vinegar and baking soda, it will foam up. 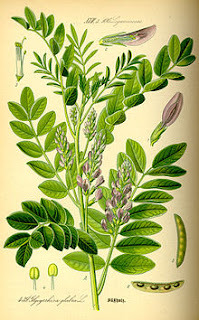 Some herbs do that inside the body, both with other herbs and with medications. While this is all right on occasion, most of the time interactions are not considered good things. Side Effects: The main action of chamomile is to help calm a person down. One of the side effects is it makes that person sleepy. Another is that it could cause uterine contractions. These side effects can be a problem if you're driving somewhere or you're pregnant. That's what a side effect is; something other than the main reason you're taking the supplement. Medical Conditions: Conditions such as diabetes, heart disease and immune function diseases can all react negatively to certain herbs. I've already mentioned licorice, which covers the first two. When it comes to the immune system, another popular herb is a problem. It is not advised to take Echinacea if you have any problem that affects that system. Choosing the right supplement is not like picking out a new pair of shoes. Talk to your doctor, your pharmacist and if possible a qualified herbal practitioner. 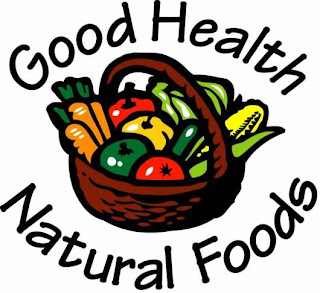 We may be able to help you find a supplement that is right for you and doesn't do you more harm than good. Could a protein milkshake hold back the ageing process? Apr 28, 2011 | By Jennifer Nall, M.S., R.D., L.D. The use of supplements is common practice among athletes. Many believe taking supplements will improve performance. However, not all supplements are safe, and not all supplements have been proven effective. Supplements used by athletes include ephedra, caffeine, carnitine, and creatinine. It is important to consider the positive and negative impact of using supplements before you add them to your diet. 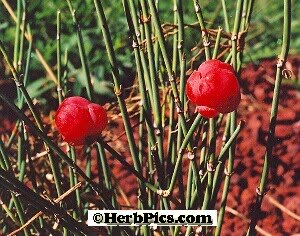 Ephedra is the name for any dietary supplement containing ephedra alkaloids. Althletes use ephedra for weight loss and increased energy, with the goal of enhancing their performance. There is much debate over the safety of this supplement, specifically what dosage is safe. The FDA banned ephedra fora number of years on the basis that the health and safety risks were too great.Currently there is a ban on the sale of high-dose ephedrine, but doses of 10 mg or less are legal. Reported side effects include headache, rapid heart rate, increased blood pressure, and insomnia. Strokes, heart attacks and death have also been reported. Caffeine, which is most commonly found in sodas, coffee, and energy drinks, is used to provide energy and burn fat. The primary effects of caffeine occur in the central nervous system and include increased awareness and the perception of less effort used. Side effects include increased blood pressure, increased heart rate and insomnia. In addition, sudden withdraw of caffeine by a person who regularly includes it in his diet can result in headaches. Carnitine is needed in the body for the transport of fatty acids to mitochondria to be used for energy. It is thought that carnitine use decreases muscle pain, increases endurance, promotes weight loss, and improves cardiac function. Despite these claims, more studies are needed to confirm the benefits and potential side-effects of carnitine supplementation. Creatine is one of the most popular sports supplements. It is used in the form of phosphocreatine by the body as a source for muscle energy. Reported benefits include increased strength, endurance, and muscle gain. While supplementation may help improve strength over time, creatine ingestion often results in weight gain, which can negatively impact performance for runners and swimmers. 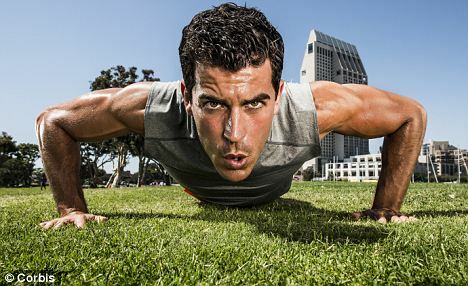 Sports supplements can help athletes build muscle and increase endurance as part of a workout regimen. These supplements can have varying side effects that can affect multiple systems of the body depending on the dosage and how often supplements are consumed. Young athletes are especially encouraged to consult with a doctor before beginning a sports supplement regimen. Athletes using sports supplements take in more calories than with a traditional "three meals a day" diet. This increased caloric intake can have an adverse effect on your body's digestive tract. Diarrhea, stomach cramps and constipation can all be side effects of your body adjusting to the increased caloric intake. Most sports supplements are infused with soy protein, which can also cause digestive problems. According to the website Kid's Health, androstenedione, a form of "natural steroid" that the body breaks down into testosterone, can cause several adverse side effects in a developing teen or adult. Large doses can cause hormonal imbalances that lead to mood swings and depression and may stunt the growth of young athletes. Other symptoms can mimic anabolic steroid use such as hair loss, increased aggression and increased risk for certain forms of cancer and heart disease. Proto-col Slim-Fizz is a unique appetite suppressant which contains the groundbreaking fibre Glucomannan, which is a natural dissolvable fibre extracted from high quality fresh Konjac.